← Another Nail In The Coffin? Just a couple of items on the Tustin City Planning Commission agenda this week. One of them, however, could engender quite a bit of discussion. That is, unless the commissioners choose to, once again, violate the Brown Act (with the city attorney’s blessing, of course). More on that later. First up is a Public Hearing for a Conditional Use Permit to use an existing warehouse as a commercial gym. Spectrum Fitness is planning a small, personal trainer type facility in a warehouse area of the city. The proposed use is a gym catering to “small group high intensity workouts”. The facility would be open early morning until mid-evening. The area, located on Chambers Road, west of the freeway near Tustin Ranch Road, is rife with warehouse and manufacturing facilities and noise should not be a problem. The applicant expects 16 attendees per class and classes run about an hour at a time. the staff report assures the Planning Commission of adequate parking and required facilities to accommodate the gym. According to the report, the project is exempt from CEQA. It looks like a good fit for the community. Let’s hope the folks on the Planning Commission think so as well. The second item is also a Public Hearing on Ordinance 1429, Zoning Code Update. This is the same item on the February 26th agenda and I still have the same concerns regarding the minor text amendments “that would incorporate policy practice into the Zoning Code.” The cited example was the requirements in policy for guest quarters to have a deed restriction recorded. Again, the lack of transparency is appalling but not surprising for this bunch. Apparently, I was not the only one to express concern as Chad Ortlieb submitted a letter of concern at the March 12th meeting. That meeting also generated discussion among the commissioners including Jeff Thompson and Fred Moore, who stated emphatically the comments and concerns raised by Ortlieb be thoroughly reviewed and considered even though the comment period had closed. Moore apparently took issue with the staff splitting hairs on the comment period closing a scant couple of hours before Ortlieb got his letter in. Ortlieb, who is a former city planner with Tustin and currently works for the city of Orange, has expressed concern over the city’s handling of the Wilcox debacle. He has been a more vocal opponent of the plans to turn the historic manor into a three ring circus for the benefit of outside non-profit organizations who have little stake in how the planned commercialization would affect the Old Town neighborhood. In his letter to the city, he accuses the Planning Commission of violating the Brown Act in not allowing the proposal to be fully discussed in a public hearing as he was cut off when attempting to speak at the February 26th meeting. The staff report includes an almost line by line response to Ortlieb’s allegations. One of those is the city attorney’s response to the alleged Brown Act violation. The city attorney defends the commissioner’s actions by saying they have a right to place reasonable regulation for each speaker (we’ll note that is not each individual, but all speakers in general – something Ortlieb pointed out). Kendig’s explanation drones on into how the courts have upheld these regulations and then says, emphatically, there was no Brown Act violation. Of course, the only trouble with this is whether the spirit of the law or the letter of the law was violated. So much for open and accessible government. But, then, we know Kendig has no problem with the public being involved with the legislative process – as long as it doesn’t interfere with people who run the show. Wilcox Manor applicants requested a CUP for outdoor event uses. They did so under a special provision and because the site is within the Cultural Resource (CR) District and Single Family Residential (R`) District…. the Tustin City Council may consider a proposed non-listed use of a property within the CR District when the use supports the purposes of the CR District… The Planning Commission recommended approval of the requested use to the City Council with conditions. Uh, huh. Also, with the whole-hearted approval of Community Services Director, Elizabeth Binsack, who’s department has gone out of their way to appease the owners of the Wilcox. That, presumably, is in support of the majority faction of the city council, all of whom have received direct and indirect support by use of the facilities for political fundraising. So, let’s see how the commissioners handle the issues and whether they will pass the ordinance with the unsubstantial amendments made by city staff. I should note that most of Ortlieb’s concerns have been blown off in the latest staff response. It remains to be seen whether Thompson’s and Moore’s concerns were genuine or just whitewash for the public. I see the paintbrush coming out. 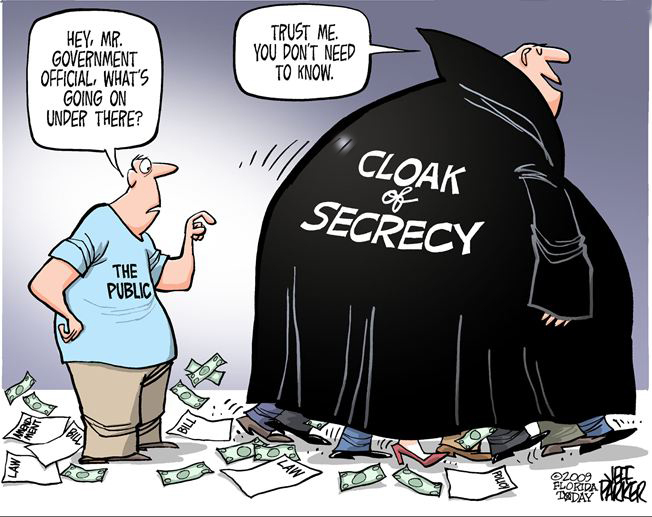 Posted on April 8, 2013, in Local Government, politics, Tustin City Commissions and tagged brown act violation, Elizabeth Binsack, ethics in government, Jeff Thompson, smoke and mirrors, transparency, tustin planning commission. Bookmark the permalink. Comments Off on On The Planning Commission, April 9, 2013.